A new poll suggests the United Conservative Party has a commanding lead over the NDP province-wide — and in the key battleground of Calgary — with less than two weeks before the Alberta election. Jason Kenney's UCP has the support of 53 per cent of voters across the province, compared with 34 per cent for the NDP, according to the data released Wednesday by Janet Brown Opinion Research. The UCP also has a 21-point lead in Calgary, with 53 per cent support versus 32 per cent for the NDP, suggests the poll, which was commissioned by the Global Petroleum Show. Brown says her data suggests to her that Albertans haven't really started to get engaged yet. "I have been doing polling for 18 months since the UCP was first founded and I am getting essentially the same results as I got 18 months ago," she told the Calgary Eyeopener. "So the way I interpret that is, these first two weeks of the campaign, either voters haven't been paying attention or those who have been paying attention haven't really heard things that have changed their minds." The capital city appears to be the NDP's only stronghold, where 46 per cent of respondents support Notley's party and 39 per cent support the UCP. In the rest of Alberta, the UCP has a gaping 43-point advantage over the NDP — 66 per cent to 23 per cent. "If these numbers hold, the UCP would win a large majority in the range of 65 to 70 seats out of 87," Brown's poll concludes. Province-wide, the Alberta Party is sitting at eight per cent, and the Liberals have the support of just four per cent of leaning and decided voters province-wide, the poll found. The poll found 12 per cent of those sampled were undecided. Brown expressed skepticism about some other polls that showed significant swings through the campaign period. "I suspect that maybe they're over-sampling the engaged voters and not getting quite as wide a cross-section of Albertans in general," she said, noting that her poll was a truly random sample. The survey began with an open-ended question about the single most important issues facing Alberta today, followed by a question about other importance issues. The most common top-of-mind issues mentioned were the economy at 27 per cent, pipelines and the energy industry at 20 per cent, and employment and jobs at 17 per cent. Brown said the data demonstrates that both Notley and Kenney are polarizing figures in Alberta. "As many people disapprove of them as approve of them," she said. 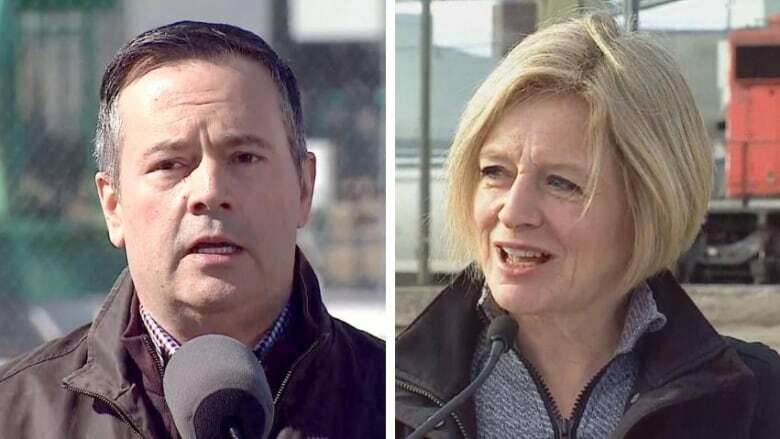 "They both have very similar approval ratings, but of course very different people like Rachel Notley than like Jason Kenney." The survey questions were asked between March 25 to March 30 of a sample of 900 Albertans, ages 18 and over. The margin of error for this sample of 900 people is plus or minus 3.3 percentage points, 19 times out of 20, according to the pollster.